Smallest of the common ducks found in the region. Readily takes to the wing with swift flight. At distance, male looks dark headed with greyish body, yellow patches oon side of rump and thin white horizontal stripe on side of body. Female told from Garganey female by evenly coloured head and throat, small light patch on side of tail base and darker upperwing with white stripe through centre. In flight both sexes show white belly and greyish underwing with light band through middle. Upper wing pattern of both sexes is dark with prominent white or yellow streak in middle of wing in front of greenish speculum. 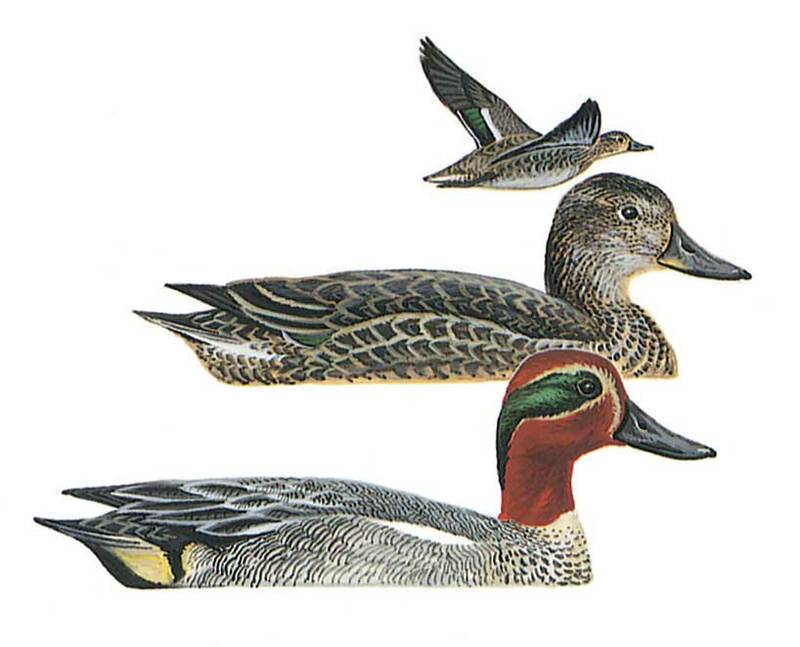 Male told from Garganey by head and wing pattern.